Standing Liberty Quarters began production in 1916 to replace the Barber Quarter. The Standing Liberty Quarter is known as one of the most beautiful coins ever made. Standing Liberty Quarters dated 1916 through 1924 are tougher to find and are generally worth much more then Standing Liberty Quarters dated 1925-1930. 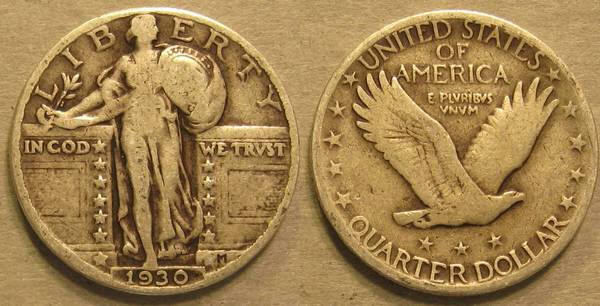 Still, quarters dated 1925-1930 in better than average condition are highly desirable.